An example of an IDP. 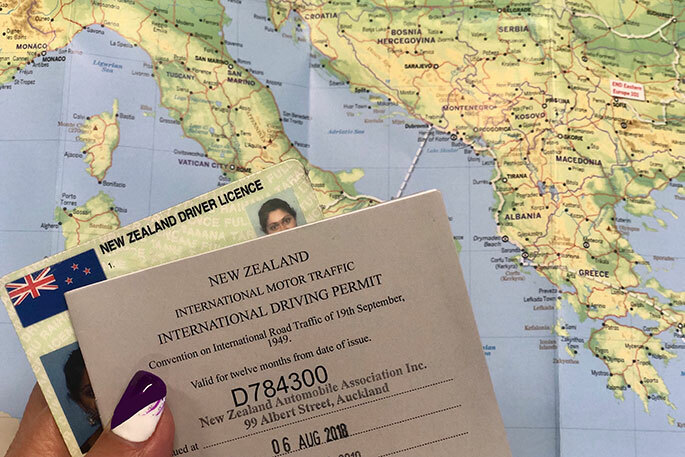 The AA is reminding Kiwi drivers hitting the roads overseas this summer to check if they need an International Driving Permit, with an increasing number of countries now making them mandatory. An IDP is a document which allows you to drive overseas, and while the need varies between countries, it’s recognised and recommended in many especially where English is not widely spoken as it translates into many languages. AA Tourism Product Manager Kirsty Vincent says having an IDP is becoming more and more important in a number of countries. “While it’s not a driver licence in its own right, by carrying both documents with you overseas, you’ll be allowed to drive legally in most countries. “We’ve noticed a surge in Kiwis calling from overseas having had the unfortunate experience of being refused their rental car because they didn’t have an IDP. Greece has this year made an IDP mandatory for overseas drivers, and we’ve seen a number of people caught short as a result." By the end of November, the AA had sent more than 325 IDPs by courier to overseas destinations for Kiwi travellers this year. One of them was John Taylor who was in Europe, when the grim reality hit that he would need an IDP to drive at his next destination, Sri Lanka. “I’ve hired cars before in several countries and always been fine just showing my New Zealand licence, which is why I left it so late. The help and service I received from AA New Zealand was stunning and far beyond expectations for which I am very grateful. I was able to easily apply online and the IDP was couriered the very next day to me in Europe,” says John. The AA, which is the only agency that issues IDPs in New Zealand, is keen to see fewer emergency calls this summer. “We are always happy to help when we can, but ideally, we’d love to see travellers applying for their IDP well ahead of any trips overseas to avoid the stress of phoning us from the airport. We’re more than happy to let you know whether you need one if you’re not sure, but having an IDP can make all the difference for a worry-free break,” says Kirsty.